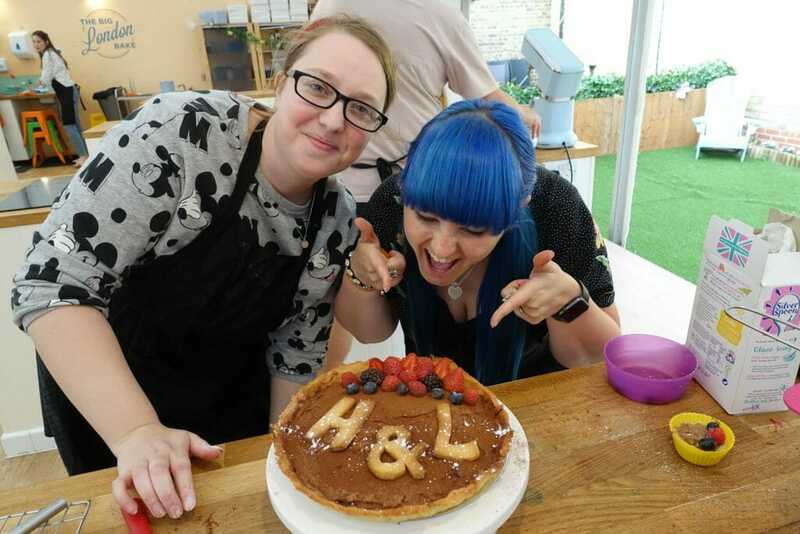 Get your bake on at the Big London Bake! - What's Katie Doing? 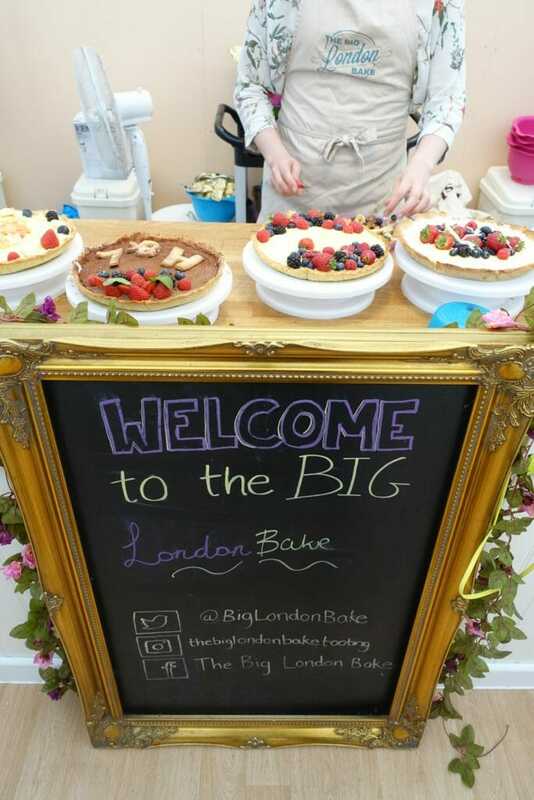 Get your bake on at the Big London Bake! Ever watched the Great British Bake Off and thought, I could do that. Or even better, I could *win* that?! 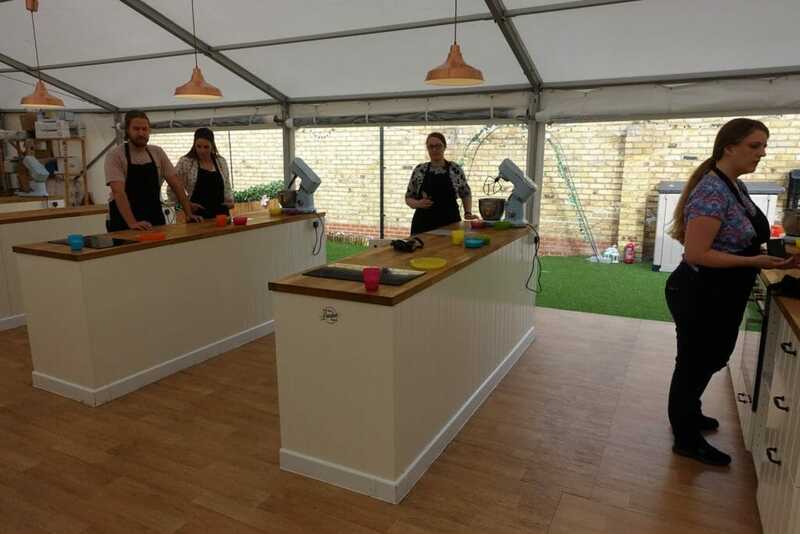 Well now you can put your baking prowess to the test in a tent in Tooting. 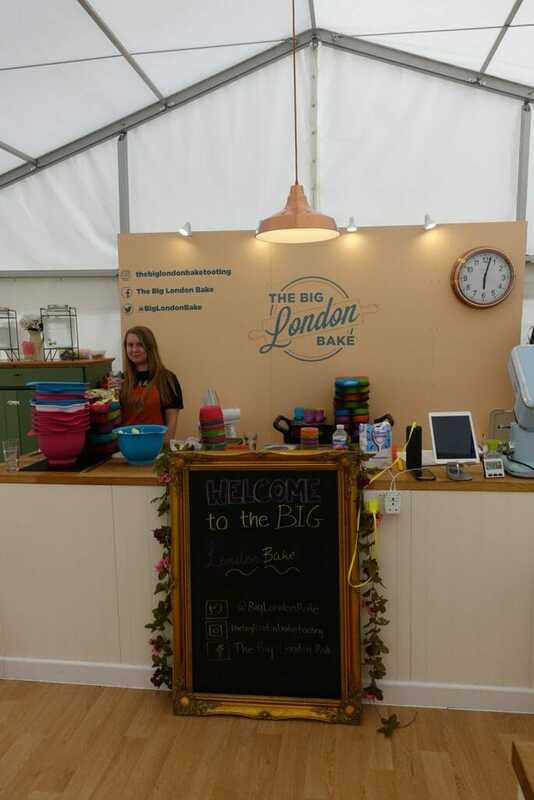 Come get your bake on at the Big London Bake! After work I jumped on the Northern Line down to Tooting. 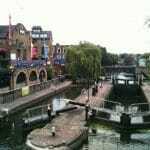 A short walk from the tube station and you are at the Castle pub. 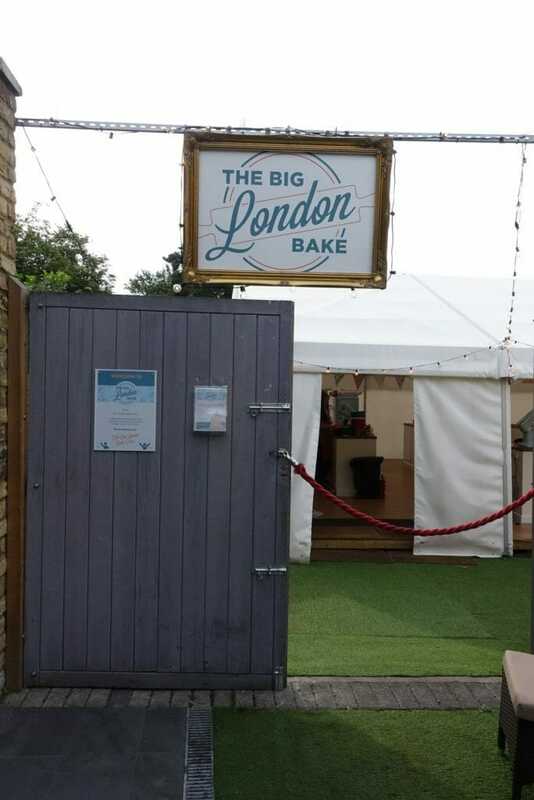 Tucked away at the end of the beer garden is the tent for the Big London Bake. Note that whilst you can have a drink in the pub whilst waiting, you can’t take drinks in. At precisely 6pm we kick off in teams of two. Having washed our hands and donned our aprons. We were given a brief run down (instructions are on the bench and which order you need to use the ingredients in and when to ask for the additional ones, or where to find them), then we were off for 90 minutes of baking! 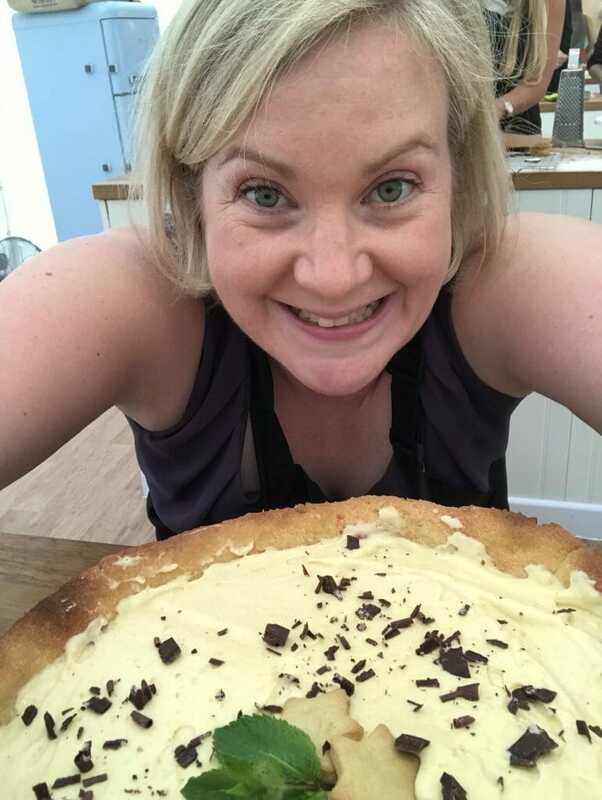 When I was there the bake for June was a custard tart, quite a technical challenge, with three separate parts that could go wrong! The bake changes on a monthly basis, so if you want to go back a different time, you’ll have a different challenge. 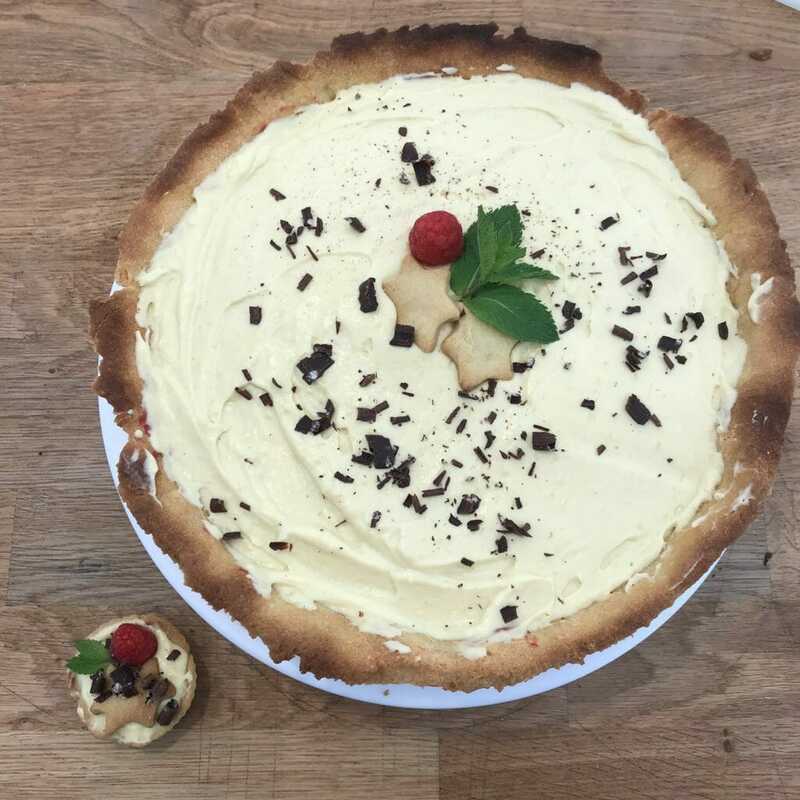 As we (my team of Chelsea and me) were baking a tart, we started with the pastry. We mixed it up in the mixer, following the instructions and then Chelsea set out to knead the pastry together. With that done, we rolled it out and put it in the lined tart tin, pressing it into the edges and then pricking the bottom with a fork. 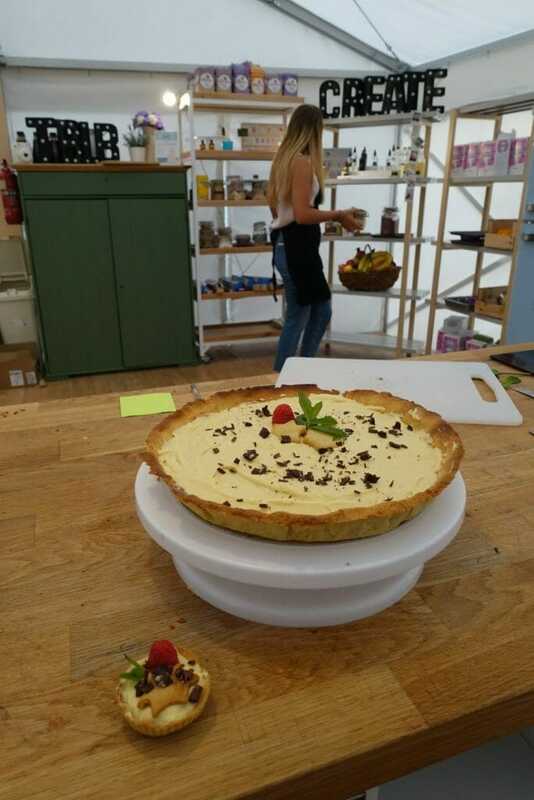 We then used the remaining bits to make a much smaller tart, which would be what the judges tasted. With still some pastry left over Chelsea made some additional decorations for the top of our tart. 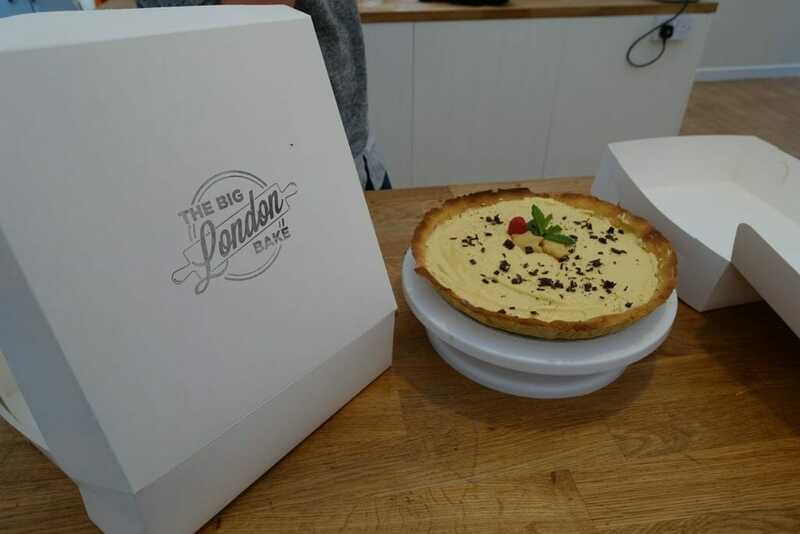 Next up whilst our tarts were baking, was the custard for the filling. 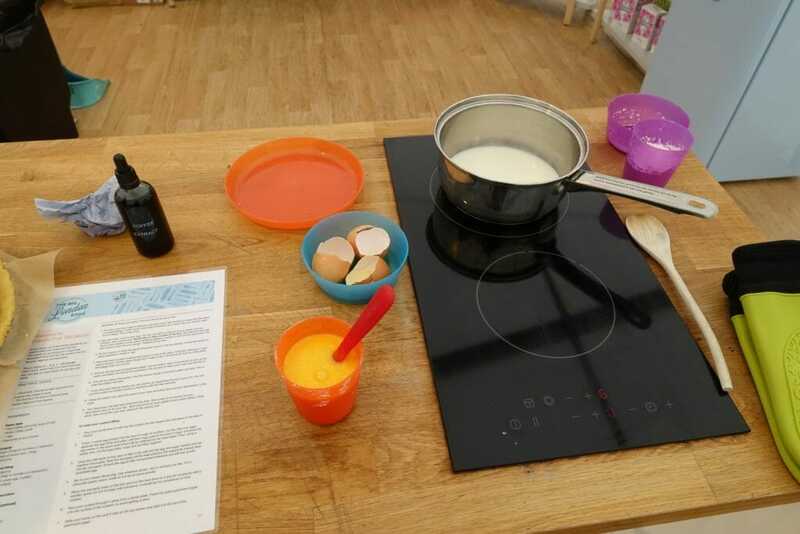 We made a crème anglais from scratch and added our flavouring in. 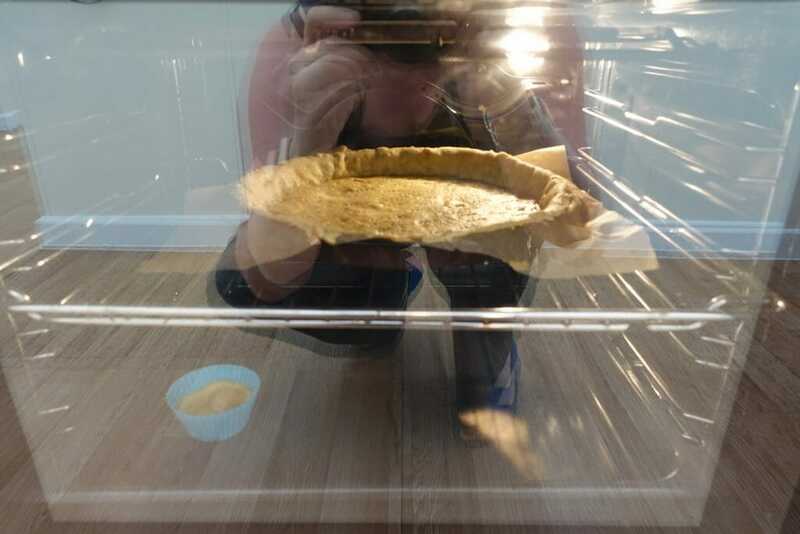 Our tart was going to be coffee flavoured, so plenty of coffee essence went into the custard. Once the custard was made we put it in the fridge to cool down enough to fold into whipped cream. 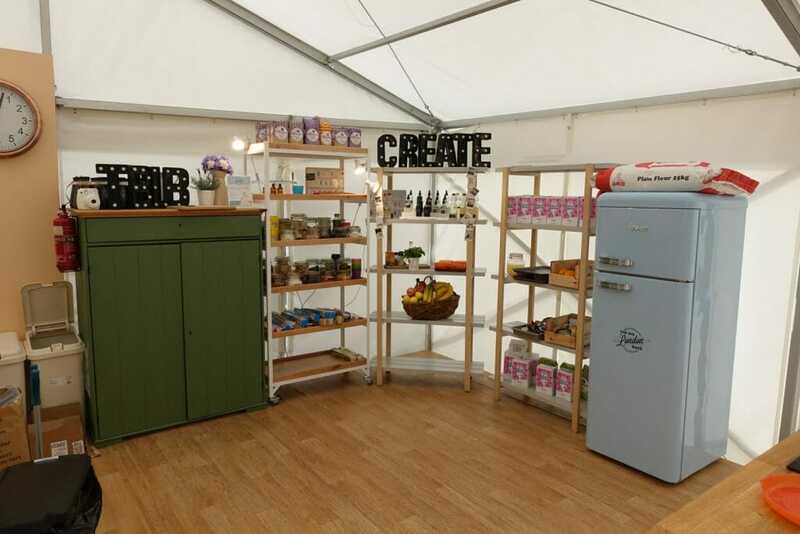 There is a shelf with lots of different ingredients at the front of the tent where you can choose your flavourings. Others in our group used vanilla, chocolate or lemon zest. By now our tart bases had baked and so they came out of the oven. 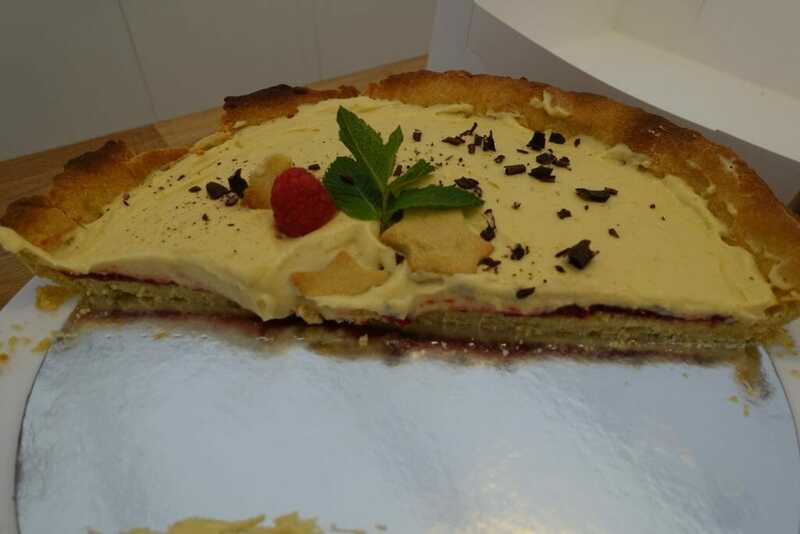 Our main tart was a bit brown around the edges, but cooked through on the base (no soggy bottoms here!) 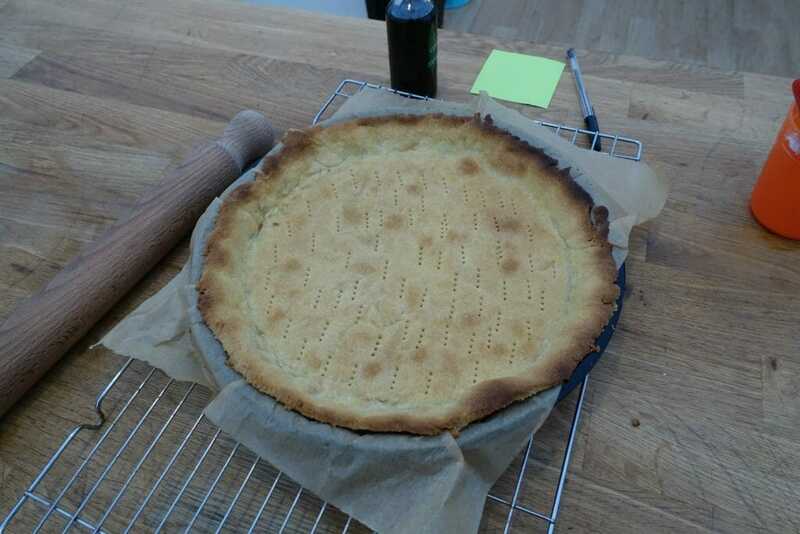 I have no idea on how you are meant to trim the edges, but we left it too late and didn’t want to crack our tart by trying to cut the brown bits off! Taking the little tart case out of the oven with large clumsie oven gloves I dropped it! Luckily the smaller tarts take less time to cook and we had some pastry remaining. So I quickly rolled out some more pastry and chucked it in the oven for the second time… fingers crossed! 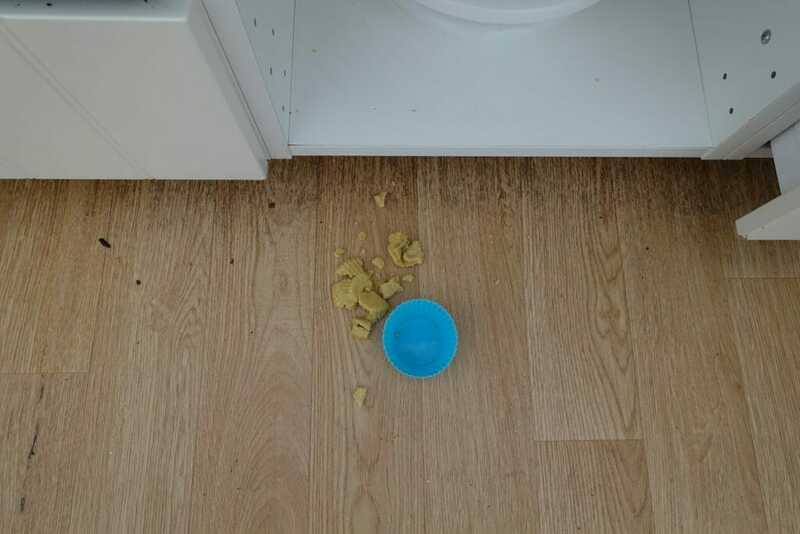 This was the third technical step of the recipe. Chelsea took on the challenge of stirring and stirring the frozen berries until they melted and combined with the sugar. A bit more mixing and the jam started to thicken up. 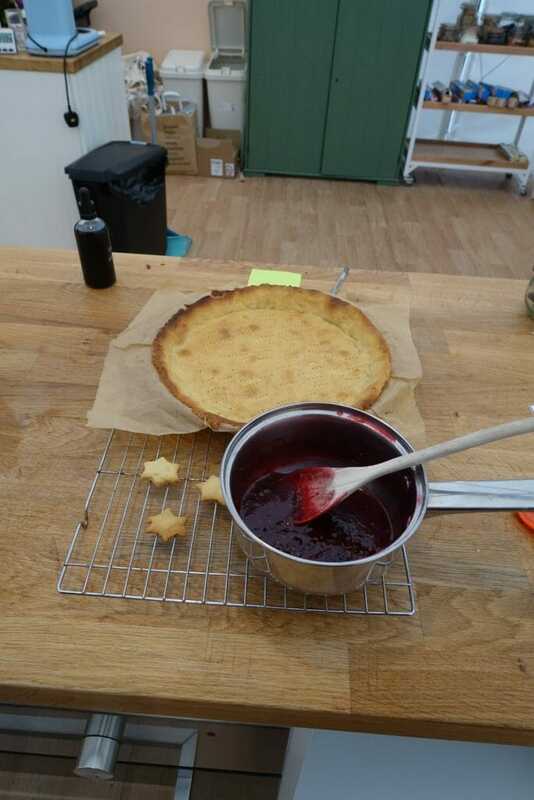 Then we had to let the jam cool, before spreading on the base of our tarts. By now the custard was cool, so we (Chelsea!) whipped up the cream. Sieving the lumps out of our custard, we combined with the cream and then topped our tarts up with the coffee custard cream mix. Now if you’ve seen the Great British Bake Off, you’ll know that whilst you need a good bake, you also need defined flavours and great decoration to win! Unfortunately I wasn’t that inspired and our decorations consisted of the pastry shapes that Chelsea had created, some fresh fruits we begged off another table (raspberries to go with our jam!) and some chocolate shavings that I created from the additional ingredients at the front of the tent. Don’t they look great? Perhaps we should have put more decorations on the big one?! Well the best decorated tart won…. How the flavours worked wasn’t adequately explained at the beginning either, so we were feeling our way around that (for example you could have made a mango jam, but you needed to know to ask for mango puree instead of using the frozen berries that were put out). I also would have spent more time considering the presentation if I went back, but that’s because my competitive side has come out! The dream team – me and Chelsea! 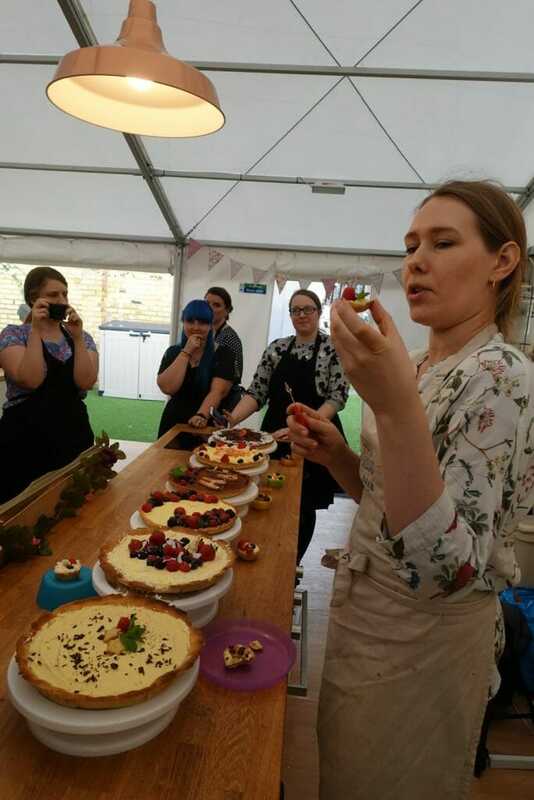 You can get tickets to the Big London Bake from £39.90 each for a 90 minute session. Each team of two gets to take home the big bake to eat at your leisure. Perfect for Bake Off obsessed fans and the competitive! Pin me for your bake off planning! Oooh this looks absolutely delicious! The mini tart is adorable. Baking is always so fun! 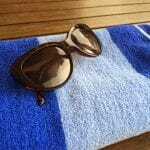 Thanks Lyne – this was hard work! Oh my gosh! 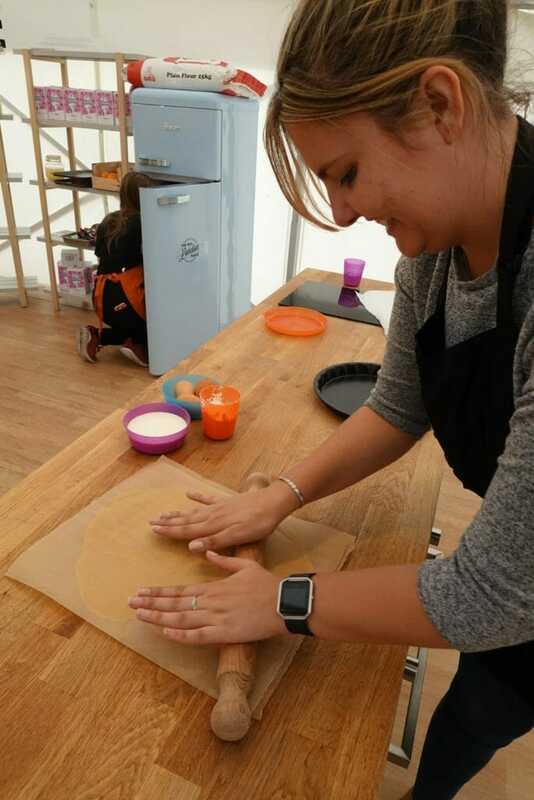 A whole new reason to visit London–though that kind of baking looks too stressful for me. Haha. It was quite stressful at the start Alex, perhaps we should have tried harder on the decoration at the end lol! 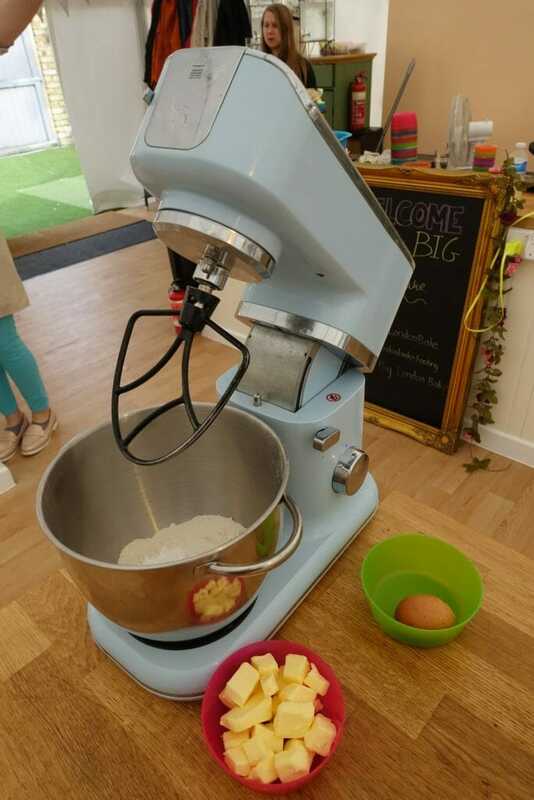 My whole family is obsessed with the Great British Bakeoff we have to go check this out! This sounds like so much fun! Lucky that you had some extra pastry! I know! We would have been stumped without something for the tasting at the end! Geeking out over here! 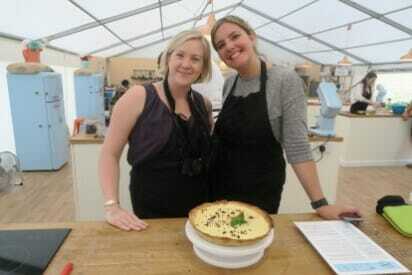 I’m in love with Great British Bake-Off so to do this in person would be amazing! Would love to go! I hope you get the chance to try it out Kylee! 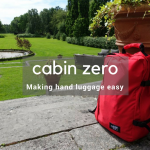 Oh my gosh what a cool idea!! I would LOVE to WATCH this happen – I’m in no way a cook hahaha so it would be cool to see it go down in person! Maybe you could volunteer as judge Kimmie?! OH MY GOSH! My grandma is obsessed with this show! 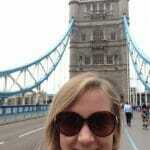 I wish I could take her to London and show her these places. I’m sure she would enjoy it a lot Sarah!